Inspired by Paul Klee’s painting Ad Parnassum and traditional fabric called bleeding Madras checks; this collection of Silk Lycra stoles and Silk sarees plays with pattern and nuanced colour. This is achieved through multiple colours in the warp as well as weft. 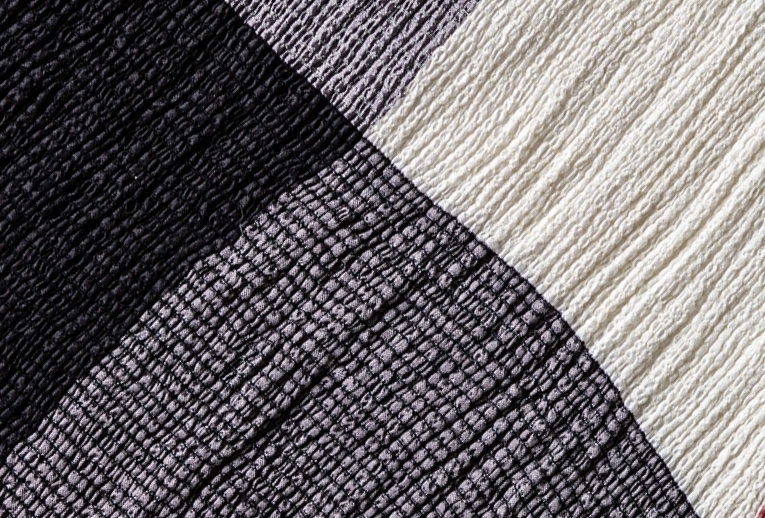 The combination of silk and lycra yarns create a texture exclusively developed at the Tuni studio.